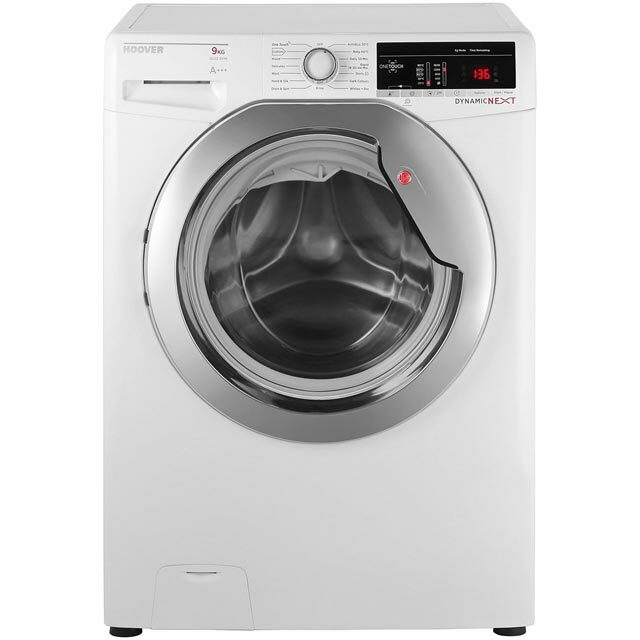 Excellent size smart looking machine, has a good load size and lots of different programs to get any wash you need. Great at cleaning clothes. Only 2 niggles: the detergent drawer doesn't come out very far and the door catches on the drawer if it's open. Bought this to replace a very old basic washing machine. Very pleased with its performance and will probably only use the shorter programmes, but the 1600 spin speed is great. Don’t think I’ll ever use the control by mobile option, but don’t feel cheated as cost was so reasonable. This machine manages to take 2 complete sets of bedding and still has room left for more washing. Like the tardis you feel there’s more room inside the drum than appears outside. It’s also packed with more than enough tech to satisfy the biggest nerds. Most importantly there’s plenty of choice in wash cycles to complete the wash needed efficiently in both water and electricity used. Looks good in the kitchen too. Overall a very good buy. Thought my old machine was brilliant!? I was gutted when my old machine needed replacing as I didn't think that it could be replaced. I am so pleased to say how wrong I was, I love this new machine and all the different programmes that it has. I recommend it highly. Really good communication on delivery times. I needed a new washing machine after ours decided to breakdown, and in the end decided on this particular model because of the fast spin, which is one thing I needed due to wearing lots of thicker shirts. It does it perfectly, and my clothes come out dry enough I don't have to spend too long with them in the dryer. It's also quite quiet, despite being quite violent at 1600 RPM. Overall I'm happy, especially with how easy it is to change temperature and speed settings. One little bit that lets me down though is the app, while I didn't buy it for this reason I don't really enjoy it - but again, this is not something I really wanted it for. Just be aware you may not like it, even if I can appreciate an attempt was made.